One more day left until our pre-sale starts, PLUS we have an exciting announcement to make. Christoph Irmer has joined our team of advisors as a market research specialist! You might have heard of Christoph, since he’s no rookie in the field of market research. As the former CMO of the Norstat Group, one of the biggest and most renowned Market Research companies in Europe, Christoph brings over 15 years of experience in online research and access panel industry. His work with the ODC Services, as the co-founder and CEO, brings the knowledge and know-how on how startups are created and driven to success. We believe that the connections he made as the Chairman of the board of DGOF (German association for online research) will be a valuable asset in helping Review.Network in our mission of disrupting the market research industry. “Today, Review.Network takes a giant leap forward with the addition of Christoph. 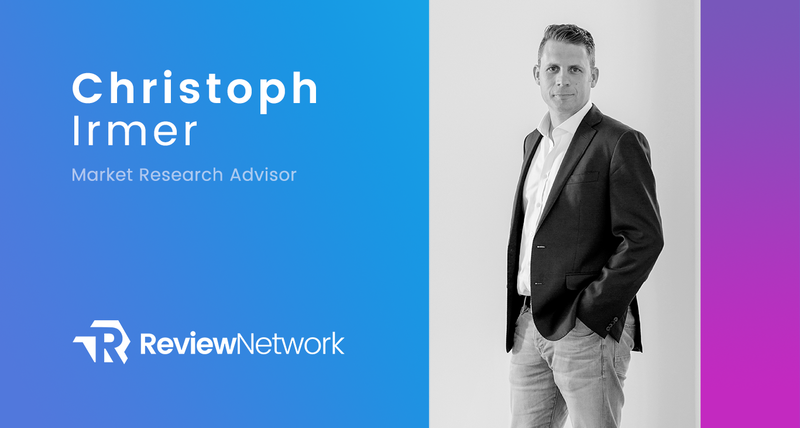 Christoph’s depth and breadth of market research knowledge will enable Review.Network to deliver the next generation of market research tools, and take us several steps forward on our journey”, Filip Karaicic, CEO. For more info on Christoph, check out his bio in our team section.